As you are probably aware, the RS versions from the Czech carmaker are unarguably many times hotter than their regular counterparts. The utterly bonkers Octavia RS is one example of this. 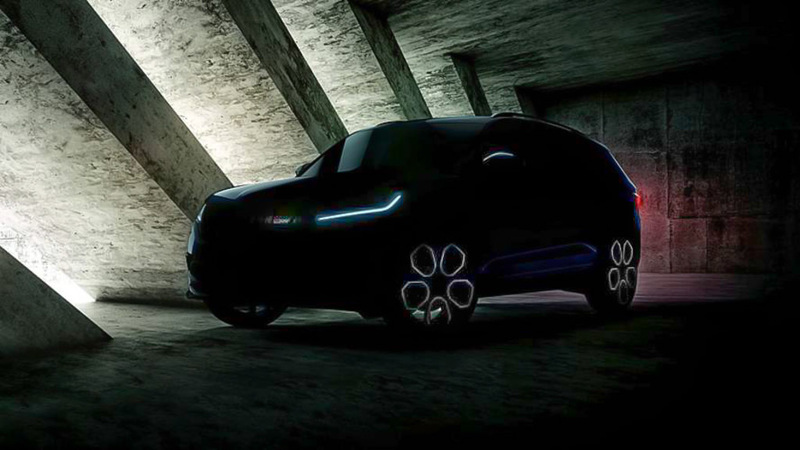 Soon, another example with the upcoming Skoda Kodiaq RS that was recently teased ahead by the carmaker. The seven-seat SUV will become the first Skoda model to get the RS variant. It will make its public debut at the Paris Motor Show in early October. As shown in the image teaser, the new SUV will sport a Rally Sport (RS) badge on its front grille. We’re pretty sure the RS badges will be found on many other parts, thereby signifying the sportier credentials of the SUV. As per Skoda, the red accents on the badge symbolize the “sportiness and power of the RS family,” while the “v” stands for victory. The RS badge first came to life in 1974, when it was used on the 180 RS and 200 RS prototypes. However, it was only in the 2000 that the badge was first used on a production model – Octavia RS. Speaking of the Skoda Kodiaq RS, the performance-focussed SUV will be available in both five and seven seats configuration. The latter will become the fastest 7-seater SUV around Nurburgring. Recently, Sabine Schmitz, a German professional motor racing driver, got behind the wheel of the SUV to lap the most demanding F1 circuit in 9 minutes and 29.84 seconds. Powering the Skoda Kodiaq RS is a twin-turbo 2.0-liter diesel engine that outputs 237 hp and 500 Nm. This is the same four-cylinder BiTDI engine that powers the Volkswagen Tiguan and Passat. The upcoming SUV will offer all-wheel drive. It will become the most powerful Skoda SUV to have a diesel engine. Safely expect the Czech car marque to reveal the SUV online before presenting it to the show-goers at the Paris Motor Show in October.